This Nativity scene from the island of Madagascar contains Joseph and Mary curved so they can admire their baby Jesus. 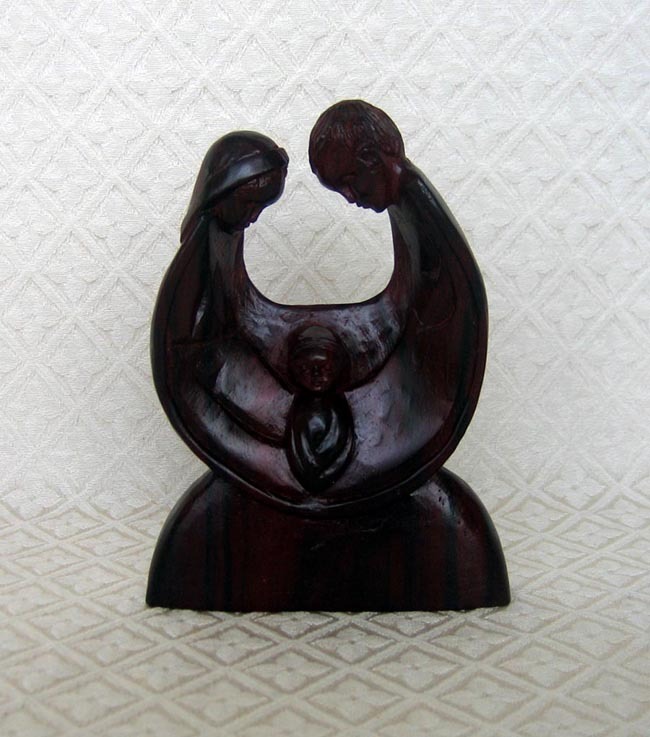 The piece is carved from one piece of rosewood, which is becoming a rare wood in Madagascar so the government has imposed quotas on the quantity that is available to carvers. Rosewood is very hard and contains a natural oil. The piece measures 5.5 inches high.